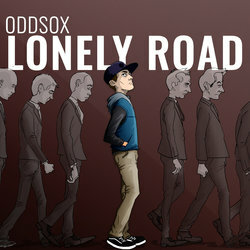 Oddsox combines strong flows with catchy lyricism, all with a cheeky spirit. Taking influence from the greats of Australian hip-hop, Oddsox represents a meeting between the classic sound and the future. This song is about where you find your happiness and self actualization,. It is meant to challenge the stereotypical view of success and where you fit within it. Taken from the upcoming Concept EP High School reunion this piece of the puzzle is the first taste on what this concept is al labout.